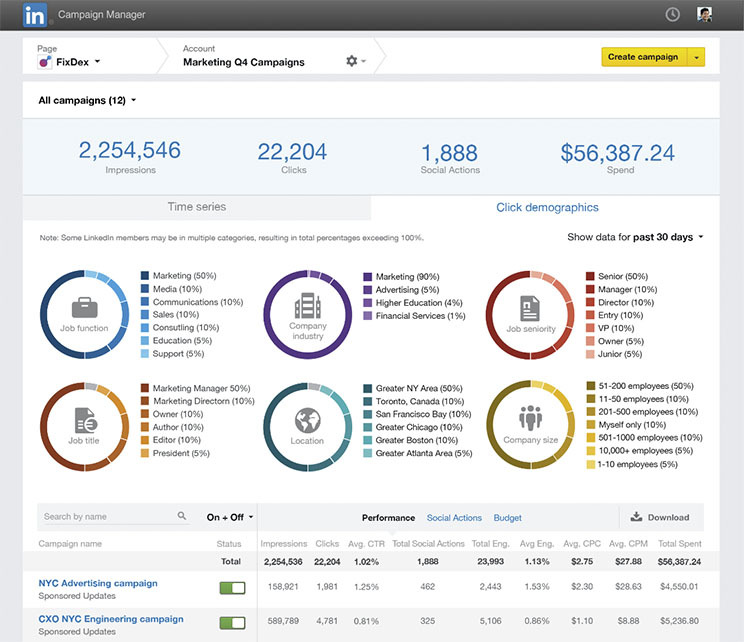 LinkedIn Updates Campaign Management Tool for Advertisers: LinkedIn recently unveiled a newly updated Campaign Manager, a tool intended to help anyone who advertises on their platform. Campaign Manager was completely redesigned to give users better control of Sponsored Updates and/or Text Updates. The changes will allow easier campaign search, better reporting visualization, detailed information on audience members and their actions, and more. Facebook Adds New Security Check Tool: Facebook continues to help users with their security settings with the addition of a new tool, Security Checkup. The tool simplifies accessing and modifying security controls. To alert and familiarize users with this new tool, Facebook will post a security reminder to users’ News Feeds over the coming weeks. Periscope Adds New Features for Improved User Experience: Periscope now offers the option to mute notifications from select accounts a users follows. Periscope will now leave up stats for past broadcasts instead of deleting them. Search has also been improved to allow users to find interesting content. It should be noted that these changes are only available for iOS users at the time of this writing. Google+ Separating from Other Google Products: Google will be moving certain non-essential features out of Google+ in the coming months. The changes include moving photos into the Google Photos app and removing the requirement of creating a Google+ account for other Google products like YouTube. Comment Changes Coming to YouTube: Google will follow up its recent changes to YouTube comments by removing the requirement that users create a Google+ account to use YouTube as a creator or commenter.